It starts with a humoristic video, detailing how I bought the condoms (not as simple as it sounds! ), and showing the building process, as well as some of the uses for the housings. However, the main dilemma lies here: you will need condoms that are very clear, so as to give a clear picture, and you also need them unlubricated, so the lube would not cover your camera (or prevent the glue to adhere). 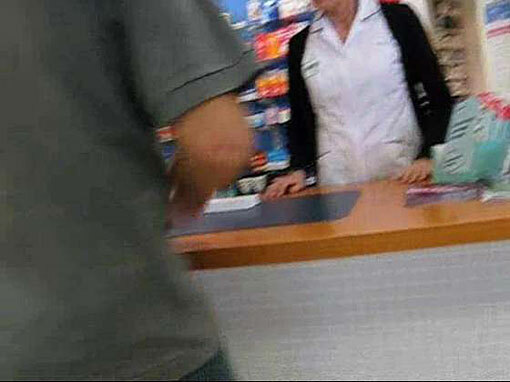 My local chemist’s were not much use in giving me advice (as you can see from the vid), but in the end, they did not have unlubricated condoms, so I purchased some normal ones. 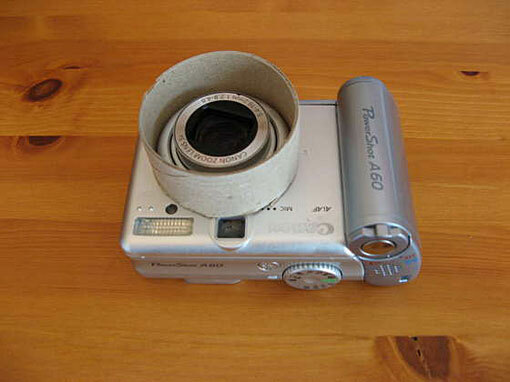 If you do not want to strip the gears in the zoom motor, protect the objective with a roll of cardboard (here I used two rolls, one inside the other, for strength: a piece of loo roll, and a piece of kitchen towel roll). 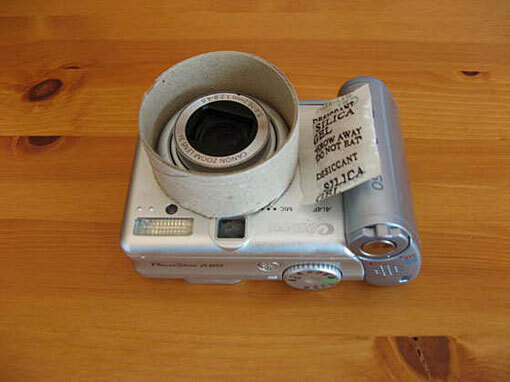 … one the camera to prevent condensation forming in the housing. Put it in the microwave for a minute before use, and make sure not to burn yourself when you get it out. … tie a knot, and apply glue again.